Essentially, the dual purpose wiper has a rod seal built in. A U-cup seal is added at the wiper’s base. 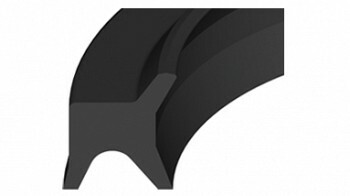 Typically, this rod seal is not as robust as a loaded or unloaded U-cup. However, a dual purpose wiper can eliminate the need for both a wiper and rod seal, reducing costs in low pressure pneumatic applications.